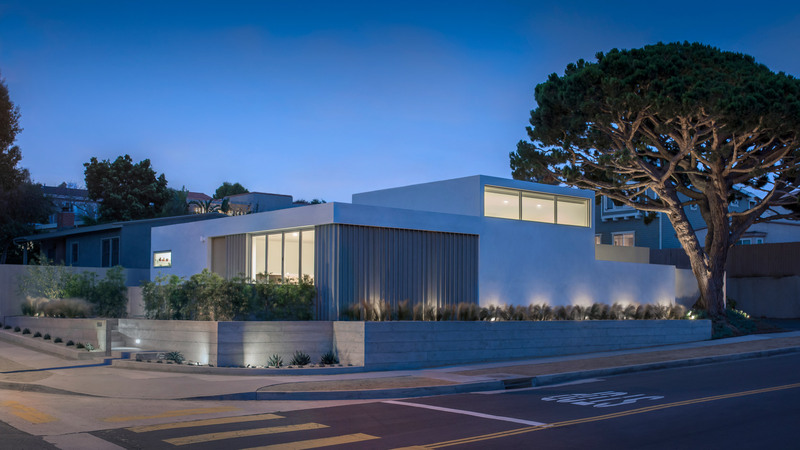 Edward Ogosta overhauls California bungalow with "clarity and restraint" - Dr Wong - Emporium of Tings. Web Magazine. 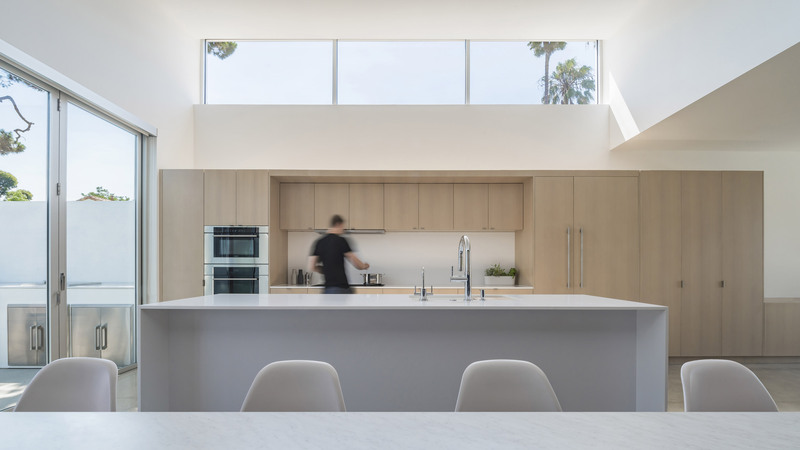 California firm Edward Ogosta Architecture has dramatically transformed a corner-lot house into “an intimate pocket of luminosity, atmosphere, and serenity” in a local beach town. 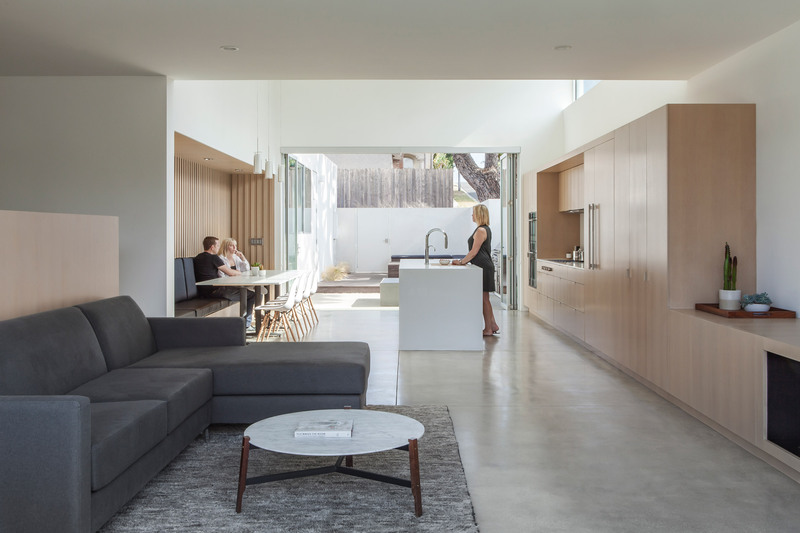 The LA-based firm completed the project for Alison and Jeff Goad, and their three children, who wished “to buffer the house from street noise, yet requested large openings between a new living, dining, and kitchen space, and access to the outdoors”. 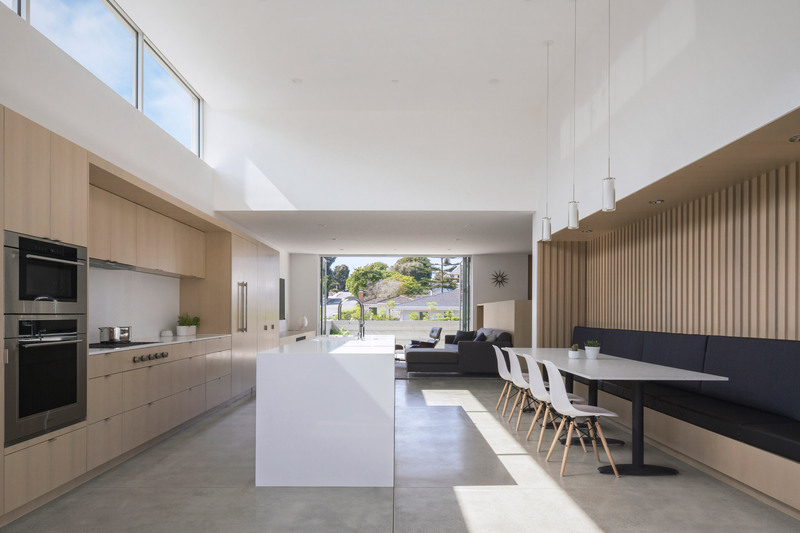 In keeping with the homeowners’ desire for a more quiet house, oak cabinetry in the kitchen runs along the home’s street-facing facade to form a thickened acoustical barrier. 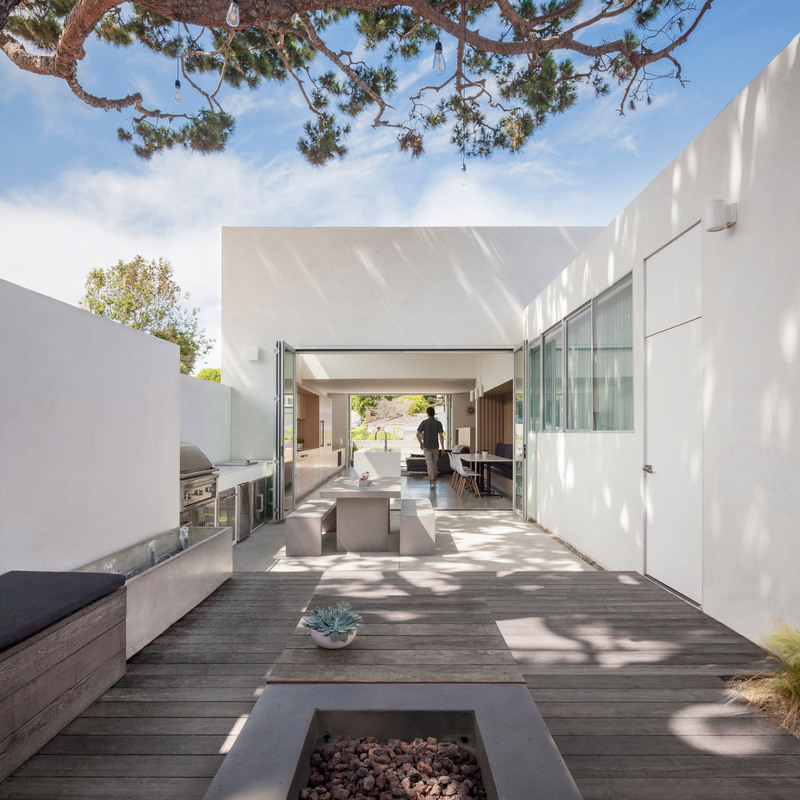 “Through clarity and restraint, the house resolves its active corner condition, resulting in an intimate pocket of luminosity, atmosphere, and serenity,” the firm said. 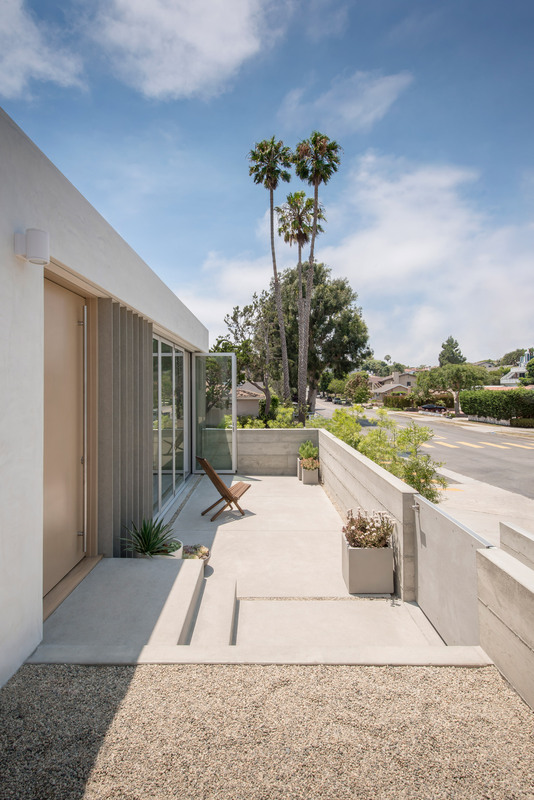 “Ogosta unified the old and new architecture with a restrained aesthetic and a material palette inspired by local whitewashed bungalows, raw concrete sea walls, beach grasses, sand, and driftwood,” said the firm. From a sustainability perspective, the areas of the roof that are not shaded by trees have photovoltaic panels to power to the home, and help charge the owner’s electric vehicle. “The owners report these panels generate 100 per cent of their electricity, making this an off-the-grid, net-zero energy building,” said the firm. 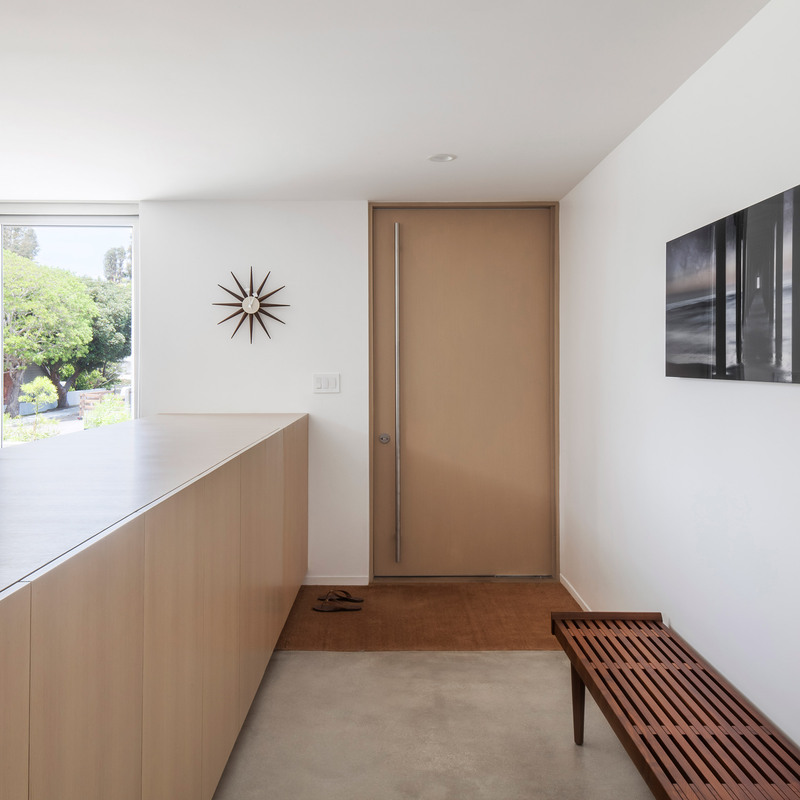 Edward Ogosta Architecture has similarly renovated and extended another mid-century bungalow in California. Called Rear House, it was named one of the AIA’s best small projects of 2018. 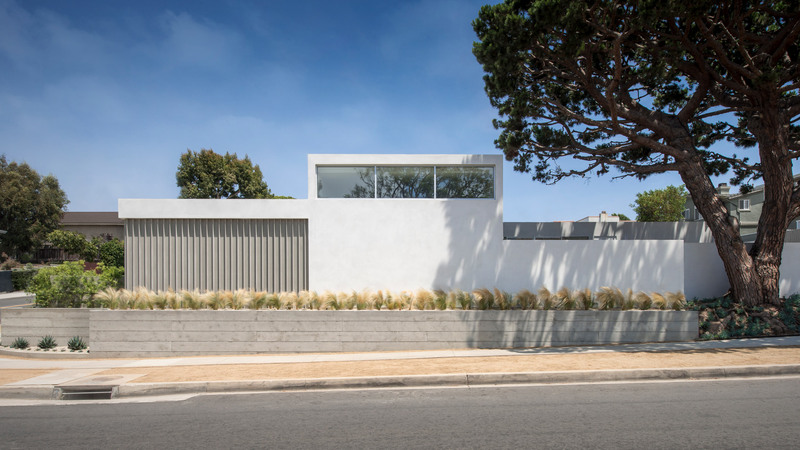 The post Edward Ogosta overhauls California bungalow with “clarity and restraint” appeared first on Dezeen.